Volume II of the first ever collection of the complete short stories of A. Merritt, the supreme genius of fantasy, terror and speculation. Includes, for the first time ever, Merritt's lost story, "Pool of the Stone God." 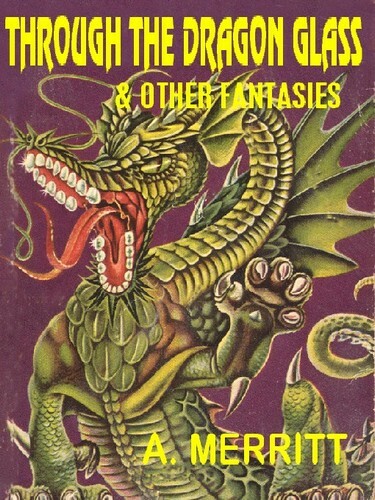 Through the Dragon Glass & Other Masterpieces of Fantasies contains the complete text of five of A. Merritt’s greatest tales. Included are the title story, "The Fox Woman," "Three Lines of Old French," "Music of the Spheres," and "The Pool of the Stone God." Discover why Isaac Asimov hailed Merritt as "The most famous of all fantasy writers." And why the Encyclopedia of Science Fiction says "his stories carry within them the true note of fear the dread of the unknown that lies latent even within civilized man. Stories that grow like the unfolding of an evil flower whose deadly fragrance is both overpoweringly sweet and hateful to the senses, to a terrific climax." Also includes "Merritt on Magic" and "Merritt on Merritt." Companion volume to The Women of the Wood and Other Stories. Merritt weaves “A glimmering, glittering web of imagination…” —The New York Times.